Do you wonder in despair whether your children will ever get along? 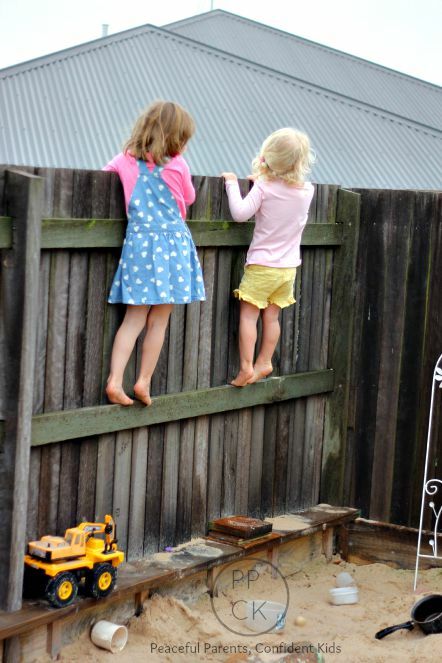 Is it possible for children to shift from sibling rivals to sibling best friends? I believe it is. 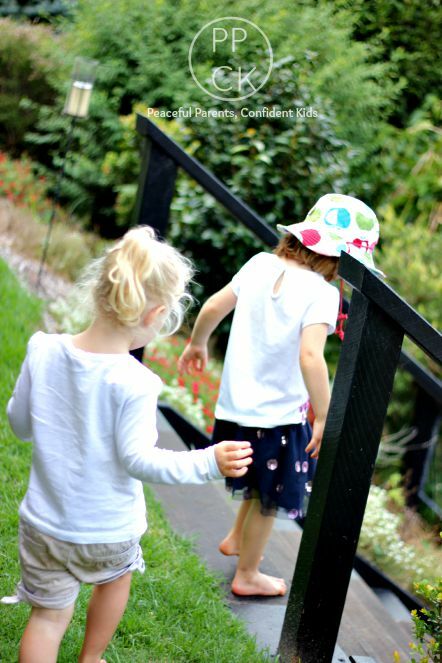 When we have trust and patience and then look very carefully, we will soon start to see evidence of the emerging bonds between our children as it ever so slowly blossoms and shines through between the storms. Sibling relationships are unique. It could be argued that they are the most authentic relationship we will experience. The very nature of this authenticity makes the sibling relationship vulnerable to being volatile. If we all went around saying exactly how we felt towards everyone and displayed all our emotions openly towards one another as siblings do, few of us would have many friends left. Young children do not know how to be inauthentic therefore, their relationships with their siblings are raw and honest. This is particularly during the early years as children are still learning emotional regulation and lack the ability to see things from another’s perspective. Siblings also have to grapple with feelings of jealousy as they seek to confirm that their parent’s love for them is solid and equivalent to the love they have for their brothers and sisters. Often, siblings must vie for attention from busy parents and can become convinced that attention equals love. It is genuinely hard for many siblings to get along with each other. When we stop to consider how super humanly patient we ourselves must be with these same children as they regularly test our limits, it is no wonder a sibling ends up giving into their emotions and screaming in frustration. How can we expect a young child to afford their brother or sister the same patience and tolerance of each other’s moods that even we as adults struggle with? 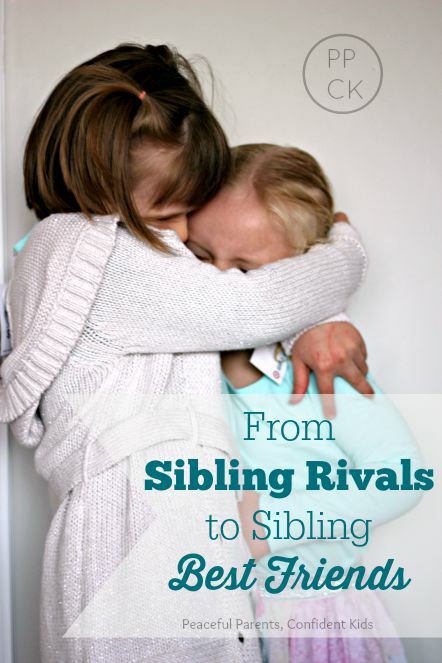 For a sibling relationship to be able to move from a rivalry to a friendship, it is important for the influencing adults to take a back seat. Given time, trust and modelling of empathy, the relationship will grow and weave it’s own natural course. 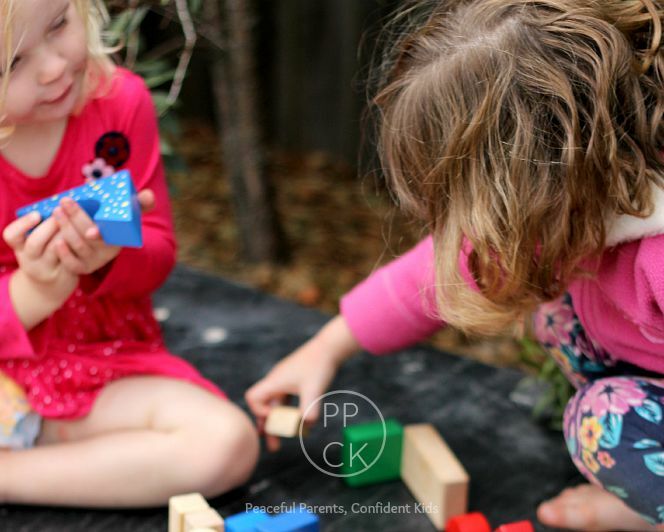 Personalities will play a big part in determining whether children will ultimately form a close bond, but even children with character traits at the complete opposite end of the spectrum can become best friends. My children are still young and there is certainly still a lot of rivalry BUT underneath the strong emotions and expressed honesty, is a beautiful little friendship, ever so slowly pushing to the surface. My eldest was just 13 months old when her sister was born. It rocked her stable world. She struggled for a long time to accept this intruder into her family and we made many mistakes as parents in the early days in trying to force their relationship. We so desperately wanted our children to love each other, play together like best mates and be there to support and encourage each other. But it wasn’t to be. At least not in their toddler years as they each became a punching bag for the other to let off steam, to learn social etiquette and to practice conflict resolution and negotiation. Their personalities are polar opposites and they had a hard time relating to each other and seeing things from the other’s point of view. Over time, we learned to accept that our daughters’ relationship is theirs to own and develop in their own way and in their own time. Forcing them to be nice to each other, to make amends for their hurts, to share their toys or to stand up for each other would only serve to cause further resentment and drive them apart. We have watched their relationship cycle through ups and downs. We have seen them enjoy moments of being the best of friends and a supportive shoulder for each other and have despaired as they bait each other with taunts, treat each other with contempt and scream that they will never, ever, ever be each other’s best friend. 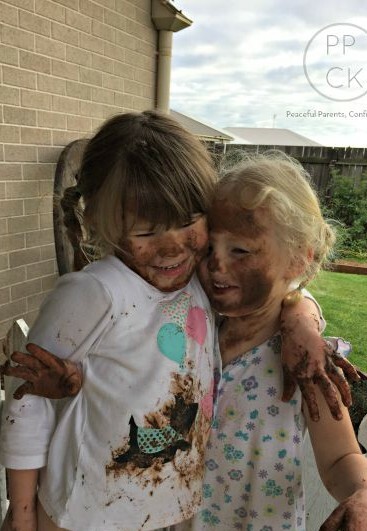 We see it when moments after a heated scuffle, they ask each other to play in their room or skip off to role play together. Keeping an unbiased stance and trusting the children to work through the conflict themselves, ensures we do not inadvertently cause more jealousy and resentment between them. In this way they also learn and understand each other’s limits and become empowered to cope with disappointment. There has NEVER been a time when we have used this method and the children have not moved on amicably within minutes of the scuffle. The times we let our judgement intervene and seek a swift end to the fighting by removing the object or giving it to one of the girls over the other, are the times these conflicts inevitably escalate and scale out of control throughout the day. We see it when they give up a treasured item because they can see how much distress it is causing the other. 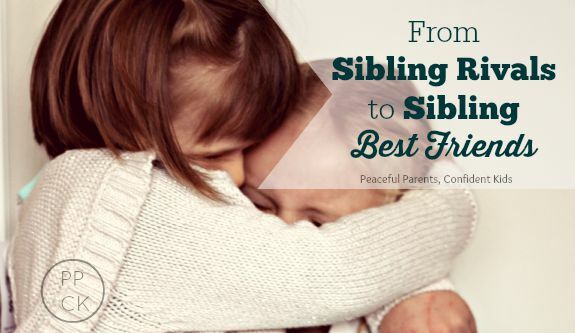 Instead of insisting one sibling gives something up to another to keep the peace, we can trust that they can cope with the disappointment and work through their emotions. This also opens the door for them to do a good deed without feeling pressured to do so. We see it when they beg me to bring their sister on their one on one Mummy-Daughter date time. 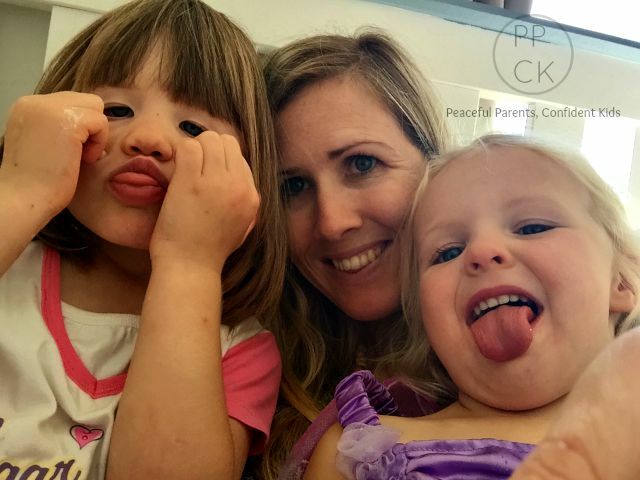 I take one of the girls on a Mummy daughter date each week, showering them with my undivided attention and occasionally treating them to a babyccino, icecream etc or even just a play in the park. By making them feel special, their hearts fill with love and they often take a portion of their treat home for the other. Last week, I took one of them to the markets for her one on one time. We were on a mission to buy the weekly fruit and vegetables. On the way home, we stopped to pick up more groceries and passed by a doughnut vendor. My daughter asked for one and I agreed. This does not happen often so she was thrilled and mulled over her choices for quite some time before settling on a little person-shaped one. She immediately took it from the packet and handed the empty packet to me. She asked me to look after the packet as she was going to save some of her doughnut for her sister. I was surprised (and I must admit a little doubtful she would follow through) but sure enough, she broke off the whole bottom half of the person and gave it to me to put in the bag for her. When she got home she ran straight inside and excitedly handed the packet over. We see it in the giggles, the chatter, the play, the politeness and the cooperation they show each other when they have a sleepover in each other’s room. They burst with excitement during the day in anticipation of their night’s antics. When the sleepover begins, this is their time and they know it. We are marched out of the room and then enjoy listening to their antics as they stay up past their normal bedtime, in cahoots together. In the morning, desperate to continue where they left off the night before, the early riser wakes the other and the play continues. They get lost in their own little worlds and the bond between them becomes almost tangible. We see it when we watch how fiercely they defend each other when we have had to set a limit which has meant removing something or in some way causing upset to one of them. The anger sent in our direction, whilst painful for us, is comforting to the other. They are learning that their sister has their back and will stand up for them even against their own parents. The other day, I was not feeling the best. The girls had been really testing and I had lost my voice so was struggling to discipline and set limits effectively. One of my daughters was out of sorts and crying over something as we sat outside for a picnic lunch. Her sister picked up her My Little Pony and gave it to her but she was not in the mood for it and tossed it violently, clocking me fair in the mouth. My fight-flight response kicked in and I immediately picked up the pony and threw it into the bushes. I know it was not the most respectful thing to do but I did not react with logical thought. Her sister immediately shouted: “You do not throw other people’s toys in the garden!” She stormed over, retrieved the pony and, giving me a filthy look, served it up to my upset daughter who suddenly stopped crying. The girls skipped off together after lunch and played happily while I lay beside them on the couch and watched. On any given day, we accept that at some point sibling rivalry will make an appearance. When we alter our perspective on this rivalry and view it not as something we need to fix but something that is normal and even a little bit good for the children, we open a door for the children’s relationship to grow stronger and blossom healthily and naturally. Providing a supportive environment whereby the children feel loved unconditionally, valued and appreciated as a member of the family, helps them to find contentment in each other’s company and lets them love freely and unconditionally themselves. We can now see that the respectful parenting pathway we have chosen allows so many moments for our children’s relationship to shine through. Forcing niceness through traditional means or stamping out nastiness through punishment limits these opportunities for authentic bonds to form. 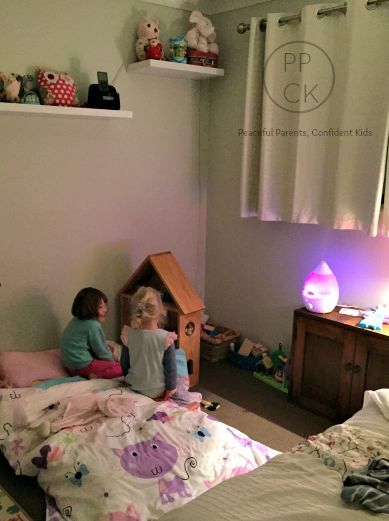 This entry was posted in Peaceful Parents, Sibling Rivalry and tagged sibling best friends, Sibling Relationships, Sibling Rivalry on August 18, 2015 by peacefulparentsconfidentkids. Lovely post. I just love watching my kids become best friends. Yes they squabble, but like you say, they (usually) can work it out and move on. Loved reading this! My kids play together nicely most of the time but have frequent blow ups as well. It’s all just part of learning I think. What a lovely post. I am so thankful that my two children get on so well. They have their moments of course but they love spending time together.